The Yoshi freestanding tub brings beauty to your bathroom. Enjoy a quiet, calm soak within its ergonomic confines. Created from pure acrylic solid surface, Yoshi's handsome rectangular profile absorbs heat and revitalizes your senses. Its generous basin allows you to do whatever you love to do in your bath: stretching, bathing, reading, and most importantly... relaxing. Treat yourself to a private spa. Treat yourself to Yoshi. 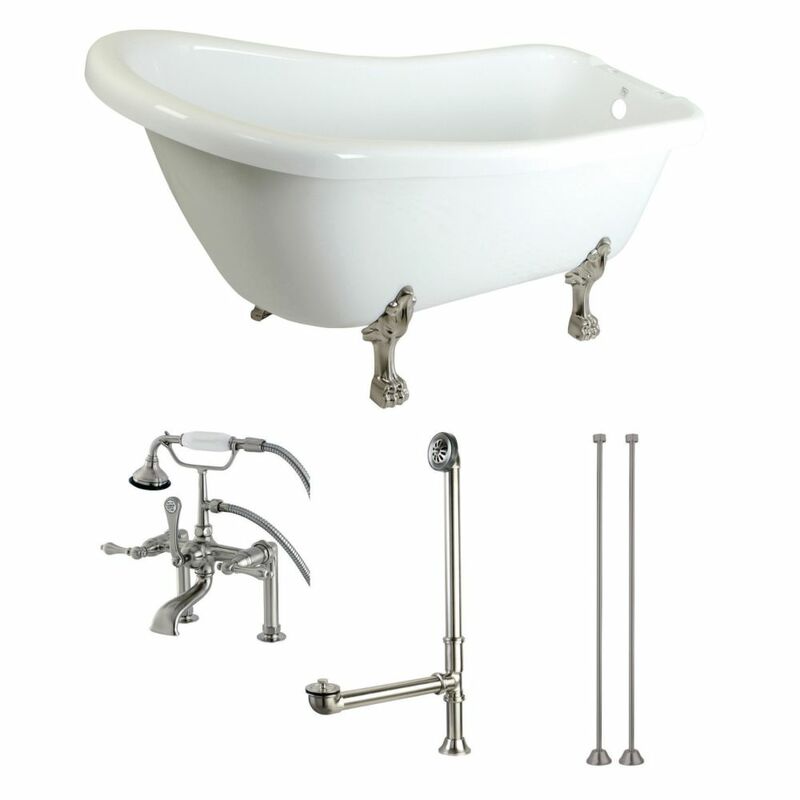 Slipper 5.6 ft. Acrylic Clawfoot Bathtub in White and Faucet Combo in Satin Nickel The Slipper 67 inch acrylic bathtub will surely be the center point of your bathroom with timeless styling and ornate tub feet. The extended gentle slope backrest allows you to lean back and enjoy a nice soak. Combo set includes tub, faucet, drain and supply lines. Slipper 5.6 ft. Acrylic Clawfoot Bathtub in White and Faucet Combo in Satin Nickel is rated 5.0 out of 5 by 1. What is this tubs water depth to the overflow? The depth to overflow is 15-9/16 inches. Click on &quot;Manual&quot; below to see complete measurement chart.